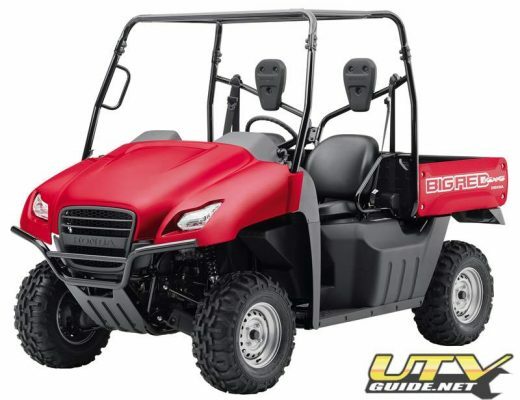 Tired or the battery warning light blinking on your 2008 Polaris RZR? 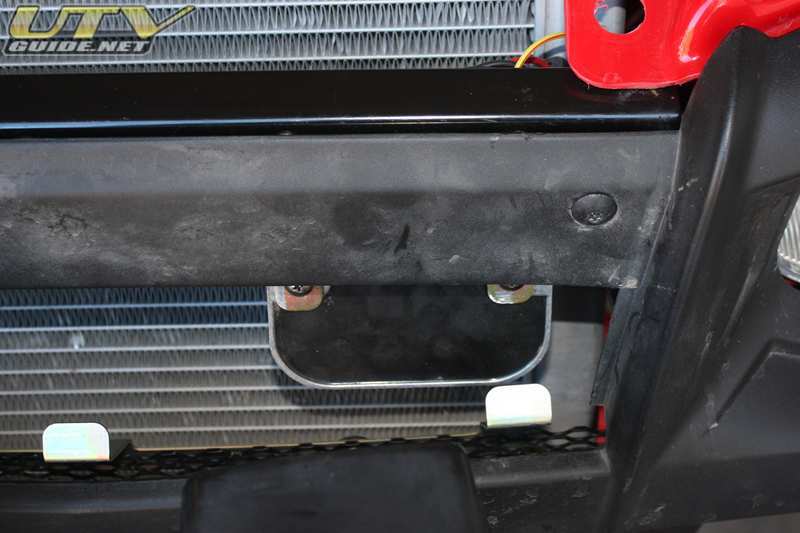 The 2008 Polaris RZR (all generations) have a problem keeping the battery voltage up with just the radiator cooling fan and stock halogen headlights running. If you add more lights or other accessories, you will most likely have even more problems. 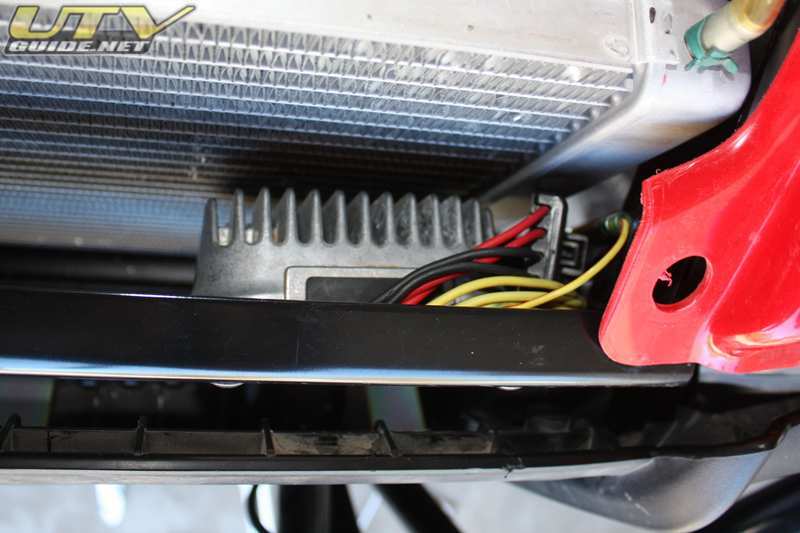 A big part of the problem is your voltage regulator overheating. The problem with the 2008 voltage regulator is the location does not get any airflow and the regulator overheats. Once the regulator gets hot, it no longer charges the electrical system. 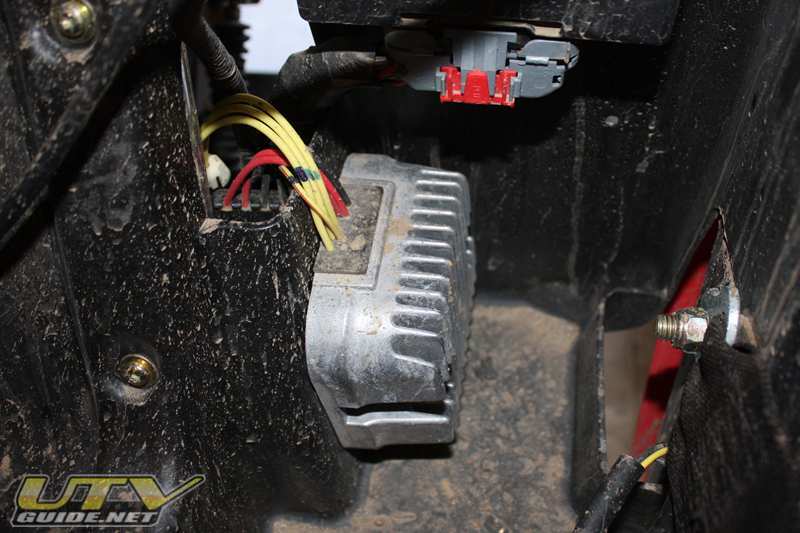 The 2008 Polaris RZR Voltage Regulator is under the driver’s seat. For 2009 model RZRs, Polaris moved the regulator up front by the radiator so it could get some fresh air and cool more effectively. 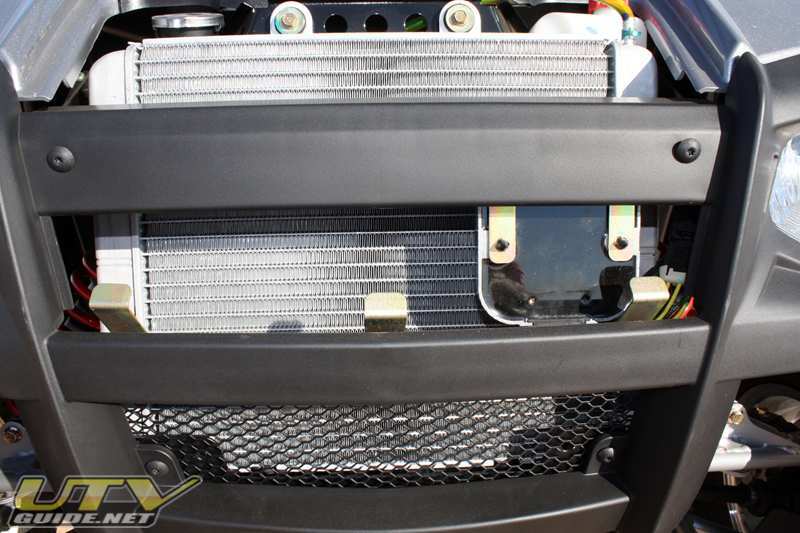 The 2009 Polaris RZR Voltage Regulator is up front by the radiator. 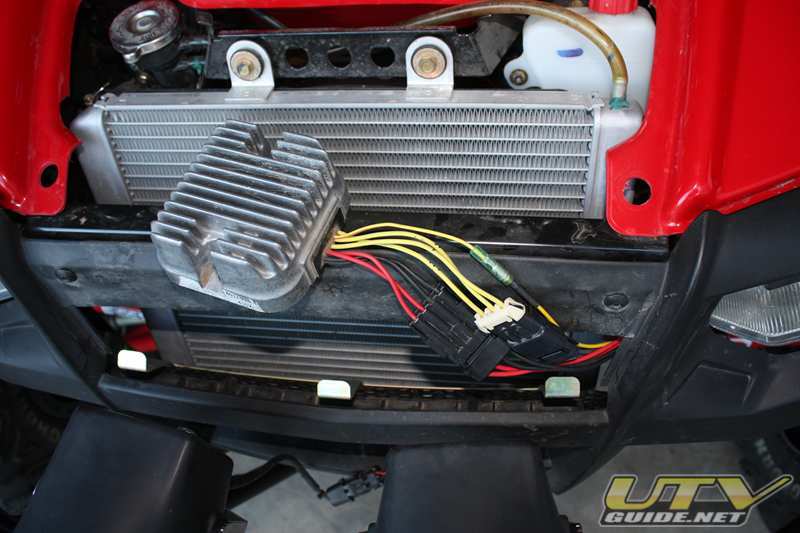 The best solution for your 2008 RZR is to relocate the voltage regulator up front to the same location as the 2009 model. You can cut & splice the wires to add more length. Just make sure that your connections are solid and you shrink wrap the areas that have been cut. Or if you are at all concerned with cutting into your factory harness, there is another option. 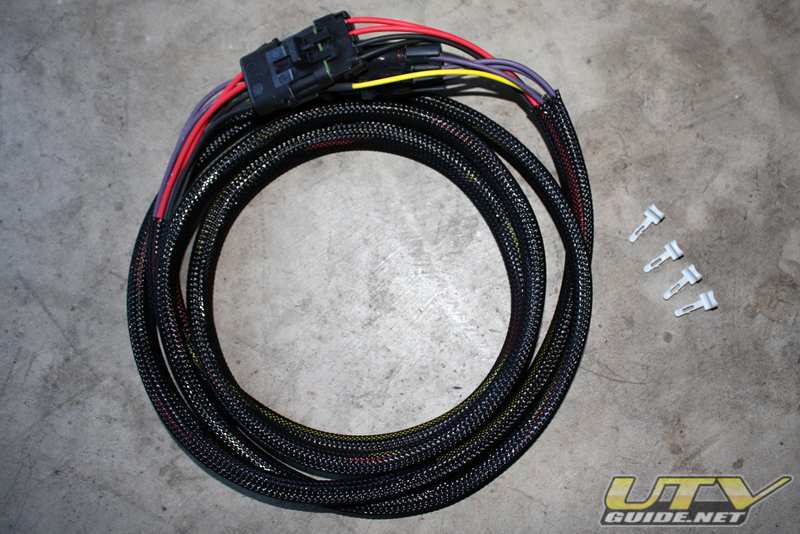 Autotrend EFI has a plug and play harness that makes the job really easy. Not cutting is required. 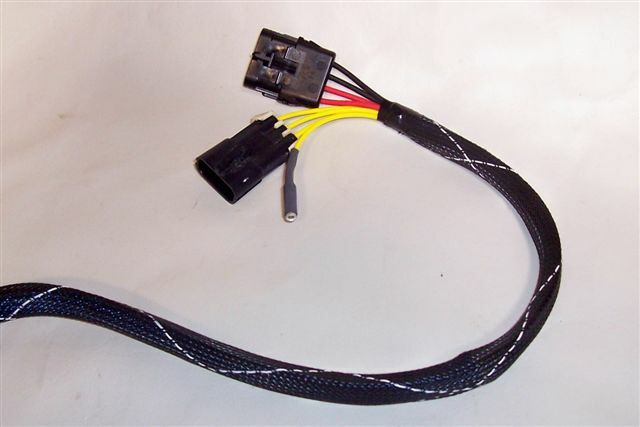 The Autotrend harness uses factory Delphi plugs to create an extension that makes this upgrade a piece of cake. 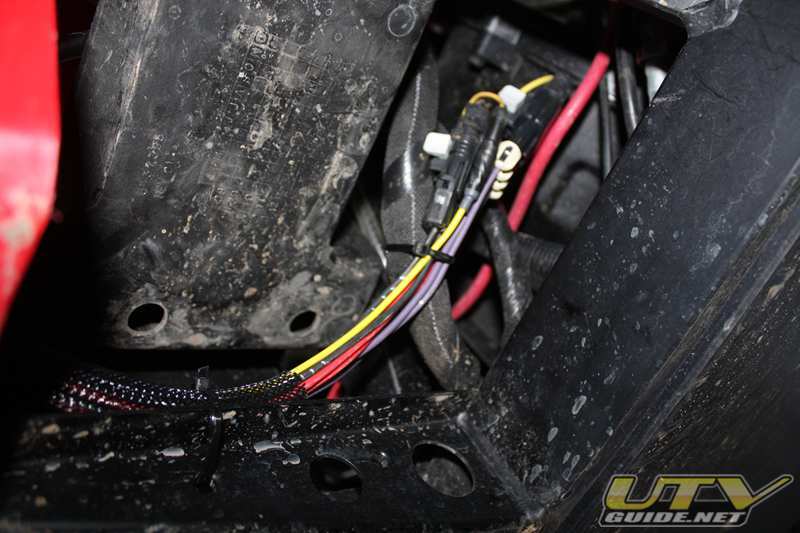 Wire extension available fromAutotrend EFI. 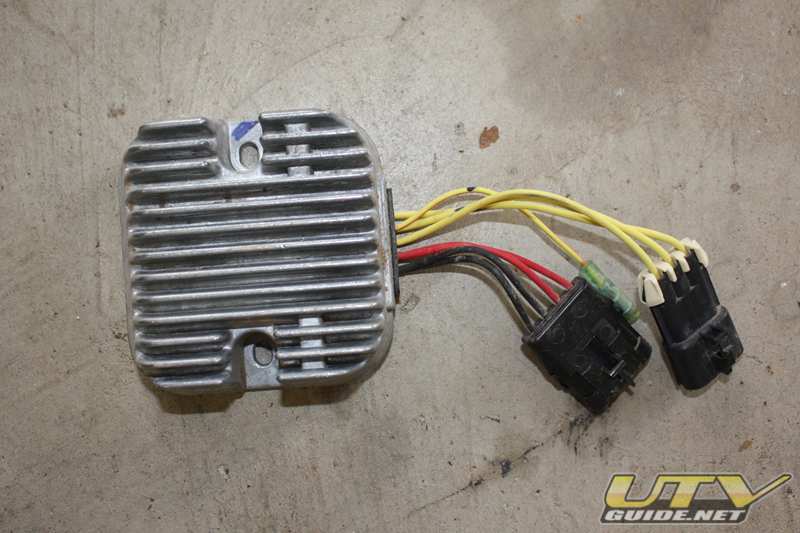 You can order a mount for the voltage regulator from Polaris that they use for the 2009 RZRs. The part number is PL5252587 – BRKT Regulator Mount. They retail for $2.25. 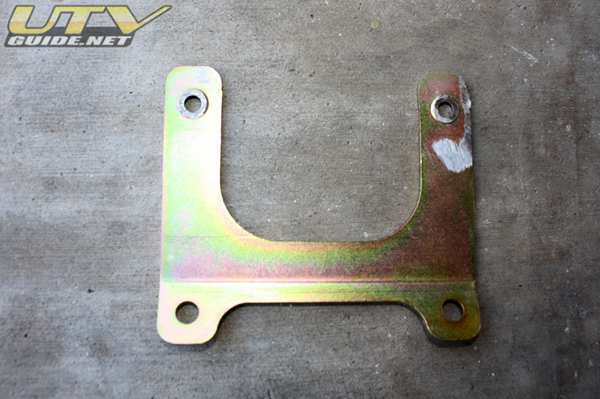 2009 regulator bracket – I ground down the built-in nuts and used my own screws/nuts. The two screws on the regulator have a Torx T25 head. Remove them, then unplug the two Delphi connectors and one bullet connector. Both ends of the harness. I routed my wires along the door area by the driver’s seat. I just need to get the bracket for the regulator and I will be done. 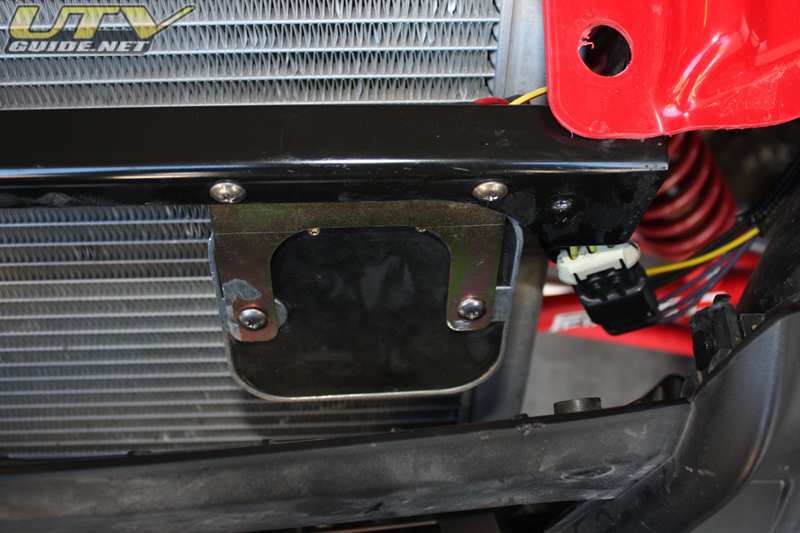 Remove the front black plastic to drill holes for the bracket (Polaris part number is PL5252587 – BRKT Regulator Mount). I mounted my regulator with the wires pointed up. Be very careful drilling the holes so you don’t go all the way through and puncture the radiator.